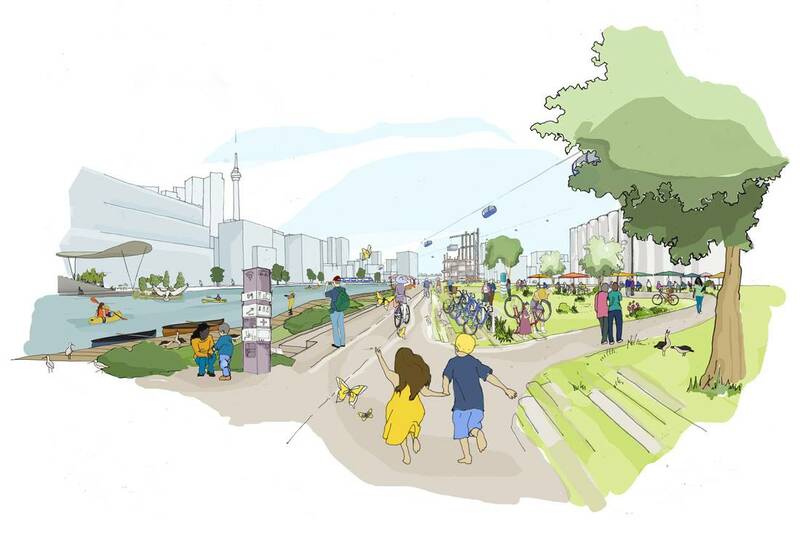 Sidewalk Toronto is a collaboration between Alphabet’s Sidewalk Labs and Waterfront Toronto to create a new, mixed-use, high-tech community on Toronto’s Eastern Waterfront. The project will start with the creation of Quayside, a brand new 12-acre neighborhood just southeast of downtown Toronto. The state-of-the-art community will serve as a test bed for emerging technologies like self-driving vehicles, AI cameras, street sensors, and wooden skyscrapers. 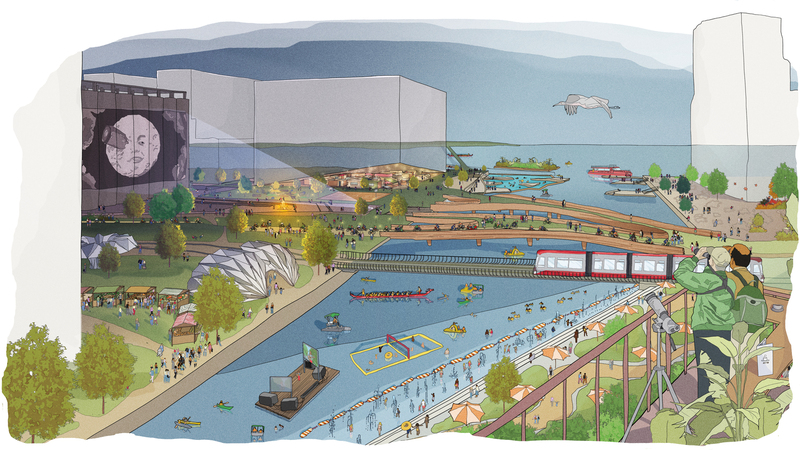 Sidewalk Labs is initially investing $50 million USD on a year-long planning and public consultation process. This process will result in the Master Innovation Development Plan, laying the groundwork for the creation of Quayside. After Quayside, the next phase of Sidewalk Toronto is to develop another 800-acres of the Eastern Waterfront. Privately owned cars will be banned at Quayside. 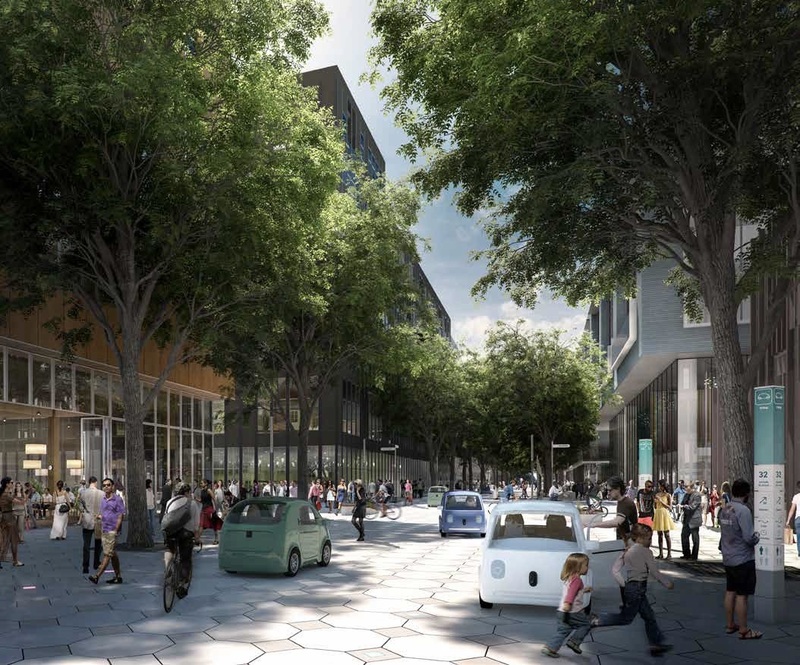 Instead, the neighborhood will use autonomous vehicles and public transit. Not only are self-driving vehicles safer (due to less human error), but they are also cheaper and more convenient. Housing and real estate at Quayside will combine retail, residential and office spaces into one. These radical mixed-use buildings will be designed using new construction methods and materials. In modular construction, sections of a building are made in a factory, shipped, then assembled on-site. Not only does this cut down on construction time, it’s also less wasteful and more environmentally friendly. Just as exciting is Sidewalk Labs’ use of specially treated wood for skyscrapers. These “timber towers” are strong, easy-to-build, sustainable, and affordable. The goal is make streets more accessible, adaptable, easier to maintain, and environmentally friendly. For example, The Dynamic Street uses hexagon-shaped “pavers” rather than concrete slabs. These pavers can be removed and replaced within hours or minutes, thus cutting down on road closures due to construction. They also distribute weight more evenly than square or rectangular shapes, so they’re less likely to break down. These light pavers use illumination to guide traffic, help street crossings, and designate areas for specific purposes. One of the goals of Quayside is to create a “climate positive” neighborhood. It plans to do this by using technology and infrastructure which requires less energy and produces less waste. This digital infrastructure will offer insights on the city and encourage citizens to work together to solve local issues. Despite its emphasis on technology, Quayside’s focus is on creating social connections and close-knit communities. By combining people-centered urban design with cutting-edge technology, we can achieve new standards of sustainability, affordability, mobility, and economic opportunity. The future of Smart Cities is right here in Toronto. 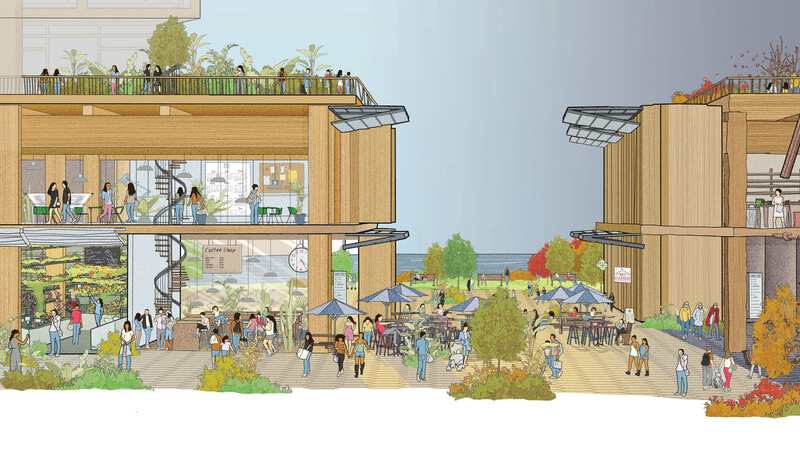 Google’s Sidewalk Labs is reimagining how we live, work, commute and play. Want to learn more about Sidewalk Toronto and Quayside? Contact me below for more details.